Shelby L. Martin was born, raised, and educated in the Capital Region. 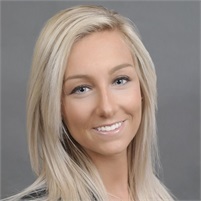 Shelby came to NLG Wealth Management with significant experience in the banking and customer service industries. In her role as a financial advisor, Shelby helps clients to identify their goals and assists with investment selection. Easy to talk to and a great listener, Shelby readily builds rapport and provides our clients with outstanding service and thoughtful, proactive strategies. Shelby holds securities licenses series 7 with LPL Financial and Series 66 with Capital Financial Planning and an AAS degree in Business Administration from Fulton Montgomery Community College. When not at work, Shelby enjoys spending time with her fiancée, Ian, her family, and friends. Shelby is the proud parent of an English mastiff, Josie, and enjoys volunteering for a number of community causes.